X1 Outdoors: Whatever you think about kart racing, think again. 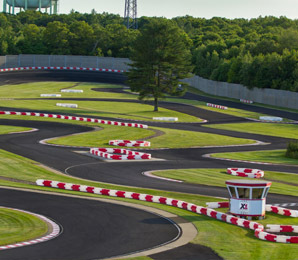 X1 Outdoors is becoming known as the “gold standard” of outdoor kart tracks in North America. The cutting-edge, 45-acre racing & event facility in East Bridgewater, Massachusetts, includes a 1.3 mile road course with multiple configurations, plus facilities for corporate, private and organizational events. X1 Outdoors specializes in these events, with custom racing programs designed to provide measurable results against event objectives. Additionally, the facility is a major east coast track for competitive karting , which is now the “ladder system” for developing race car drivers in the USA. Also available at the facility: arrive & drive karting driving schools & leagues for adults<, plus the X1 Racing Academy for girls & boys 7-17. X1 Outdoors is the first in a series of outdoor tracks currently under development by RJ Valentine and his team of business, karting and racing professionals.